Pala Digital Dental offer some of the world’s most advanced denture solutions to you and your patients. Pala Digital Dentures leverages innovative computer-aided design and manufacturing (CAD/CAM) dental technology to produce more accurate, comfortable dentures in record time. This allows you to save time and enhance productivity—seeing patients just twice—while increasing patient satisfaction. Only two patient visits are needed before final denture delivery, compared to the five or more visits previously required. Once an impression or impression scan is received, 3D renderings of the denture are created based on anatomical landmarks captured in the impression. The final denture is then crafted to uncompromising standards. 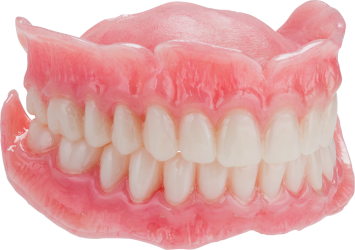 At your discretion, an optional prototype can be ordered before the final dentures are made at no additional charge.